What could education look like if every innovative voice from the classroom to the superintendent boardroom was shared and amplified globally? The fourth cohort of TED-ED Innovative Educators and the TED-Ed Team are embarking on a mission to find out. 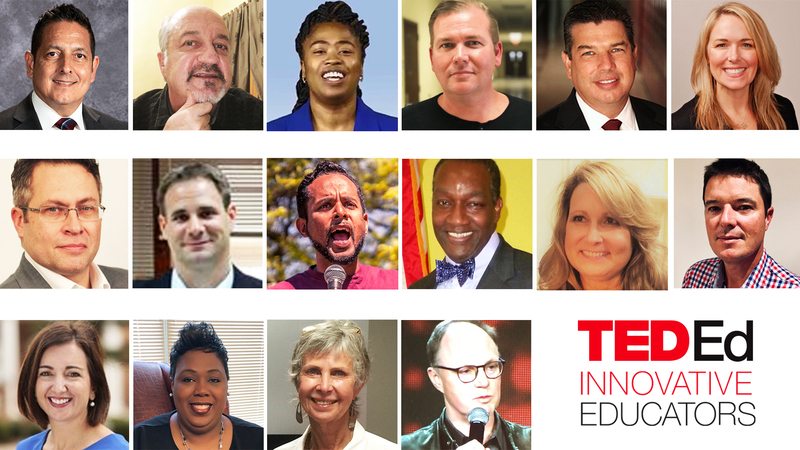 We are extremely excited to introduce cohort four of the TED-Ed Innovative Educators program– sixteen amazing and influential leaders in education who together are setting out on a journey to improve education by elevating the most important ideas in education worldwide. Using TED Masterclass, each TED-Ed Innovative Educator will hone in on their most important idea in education and develop it into a TED-style talk. Not only that, but they will play a vital role in catalyzing a movement to empower educators everywhere to develop, refine, and share their best ideas in education, with the ultimate goal of improving education everywhere, for every student. Curious to see how TED Masterclass will help these inspired leaders in education amplify their ideas? So are we! We’ll be back later this year to share the evolution of their ideas as you watch them deliver their TED-style talk. Start by reading below – and stay tuned for more to come! We asked each educator one question: if you could share one idea with every educator in the world, what would it be? We look forward to seeing these ideas develop and shine through TED Masterclass, and we will share their final talks with you later this year!